With a huricane approaching off the coast I was not looking forward to today. Got up at 2am to catch bait and I am glad I did because bait was tough again. Picked up clients at 5:45 and went in search of schools of Stripers. I had 2 other boats on the water also helping me to locate fish but they gave up after awhile. I cruised for 2 hours looking for fish until I found my first school in 40' of water. We put downlines on them and went thru 30 baits in 10 minutes. Lost that school and looked on 40' flats and found another school and got hit another 30 times. Found another school in the back of a creek that had to be 5 acres big. 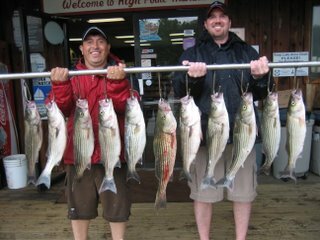 All we could catch out of them were small stripers and cats. Went back to 40' flats and found yet another massive school and finished the day up on them.When all was said and done my clients caught at least 30 Stripers and a bunch of Cats and kept 12 nice Stripers. PS. 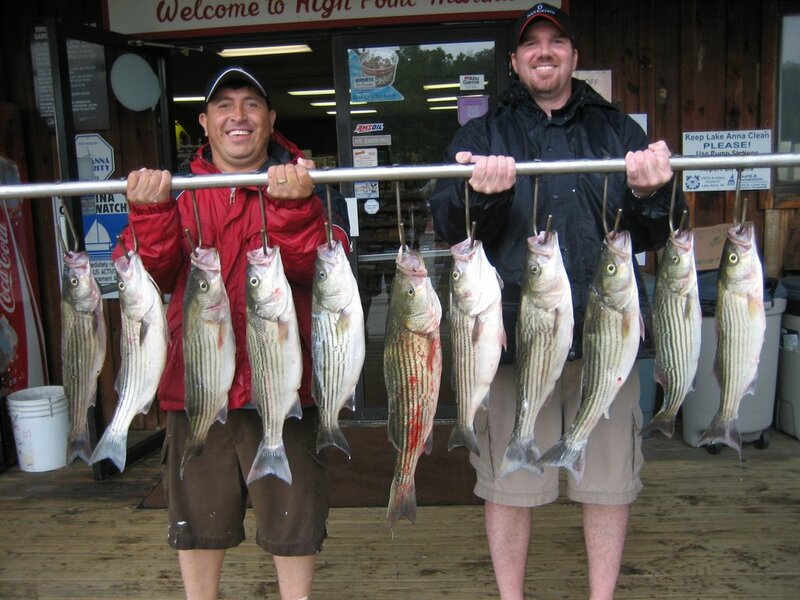 Alex now knows how to catch Stripers.